As DC's new T.H.U.N.D.E.R. 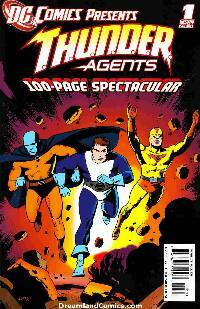 AGENTS series gets under way, relive these legendary tales from T.H.U.N.D.E.R. AGENTS #1, 2 and 7! Don't miss the origins of the team's members, the death of a lead character, and more!